Attempting to zero in on STONY MAN AZ MK 1 (which we never found), we drove 4.7 miles north along Skyline Drive from the northern Skyland entrance, keeping an eye on the bearing to STONY MAN at the same time. We did this several times, but ultimately had no luck finding the azimuth mark or the other relevant details in the description. 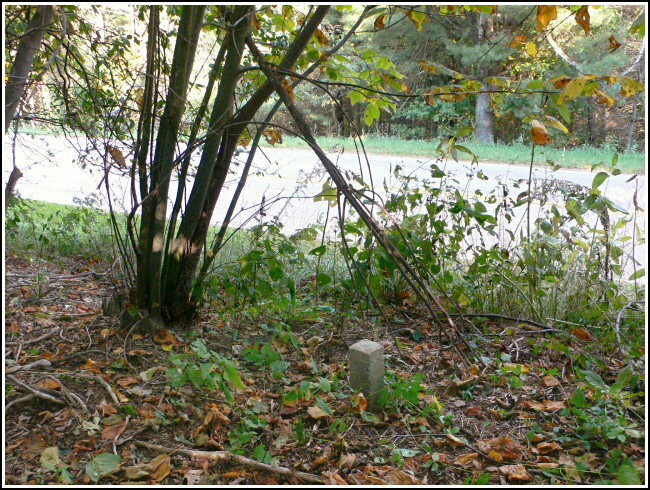 On one of these drives, Rich somehow spotted a concrete post among the trees as we approached the Pinnacles Picnic Grounds. I couldn't even see it until we parked and walked into the woods! The disk is stamped but gives no indication of the date or agency that placed it. 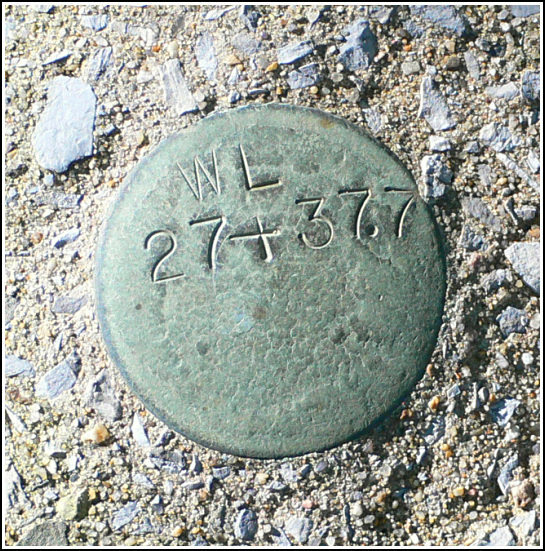 It may have been a property boundary or even an elevation mark used in the construction of Skyline Drive. 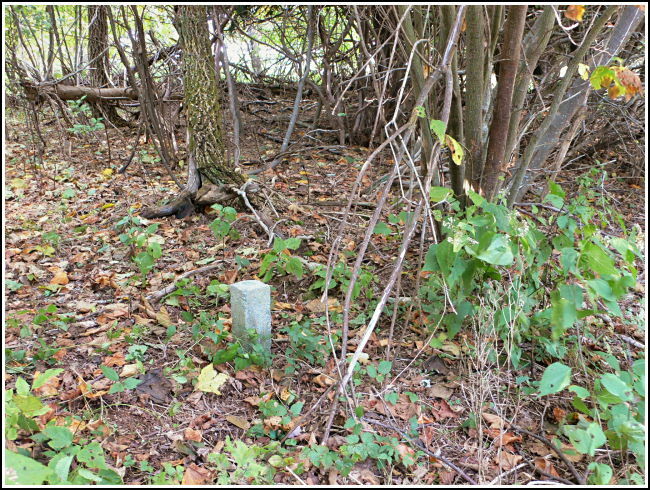 The concrete post is barely visible in the woods, but somehow Rich saw it from the road! Looking E toward Skyline Drive from the monument.